This rich and moving novel traces the lives of two black heroines from their close-knit childhood in a small Ohio town, through their sharply divergent paths of womanhood, to their ultimate confrontation and reconciliation. Nel Wright has chosen to stay in the place where she was born, to marry, raise a family, and become a pillar of the black community. 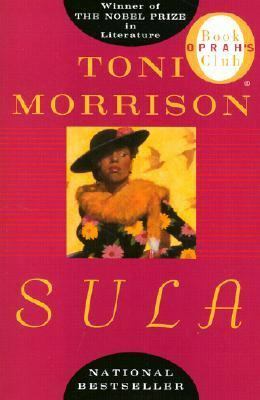 Sula Peace has rejected the life Nel has embraced, escaping to college, and submerging herself in city life. When she returns to her roots, it is as a rebel and a wanton seductress. Eventually, both women must face the consequences of their choices. Together, they create an unforgettable portrait of what it means and costs to be a black woman in America.Morrison, Toni is the author of 'Sula (Oprah Edition)' with ISBN 9780452283862 and ISBN 0452283868.